Sunday roasts are a classic Aussie tradition. What’s great about a roast is that the oven does all the hard work for you. 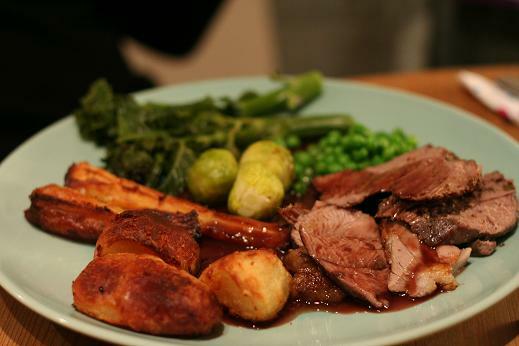 Preparation and serving of a roast dinner is very simple, the trick is getting the timing of the cooking right. It is always great to cook extra for leftovers which can be turned into frittatas, pies or eaten cold in sandwiches. Spray a baking dish with spray oil and place meat in dish. Spray oil over meat and season the surface with your choice of seasoning. Place meat in oven and cook for 1 hour, making sure you allow time to add the vegetables to the oven within this time. Spray a separate baking dish with spray oil. Place vegetables in baking dish and lightly spray their surface with oil. Place in oven for 30 – 40 minutes or until browned. Steam green vegetables for 5-10 minutes until tender. To prepare gravy, mix cornflour, herbs and stock powder into a paste with a little cold water. Gradually add the boiling water and mix well. Gravy will thicken. When meat is cooked, allow to stand for 5 minutes before slicing and serving with vegetables and gravy.